The Green Party 2nd Congressional District nominating convention was held on Saturday, July 30, 2016, at 10:30am, at the Mansfield Public Library's Buchanan Auditorium in Mansfield, CT. Co-hosted by the New London, Waterford, and Greater Norwich chapters and the Windham Green town committee, the purpose of the meeting was to nominate candidates for public offices within our district. Noted public education advocate, researcher and blogger Jonathan Pelto was nominated to run for the 2nd district Congressional seat. Colin Bennett, a longtime Westbrook resident committed to working for social and environmental justice, was nominated for the State Senate 33rd district. Petitioning candidates Ian Barron and Ronna Stuller were endorsed to run for State Representative in the 35th and 39th districts, respectively, and both have submitted enough signatures to appear on the ballot. Dagmar Noll was nominated to run for Windham Registrar of Voters. Running for State Representative in the 38th district, Lauren Shaw was previously endorsed by the Waterford Green Party. Jonathan Pelto has benn actively involved in CT public policy, advocacy and electoral politics for nearly 40 years. In 1984 he was elected to the state House of Representatives, where he rose to the level of Deputy Majority Leader and was a long-time member of the Appropriations Committee and Education Committee. He was primarily recognized for his expertise in education policy. After leaving the legislature, he owned and operated a successful strategic communications company helping associations, organizations, unions and tribes with media relations and advocacy programs aimed at educating, persuading and mobilizing targeted audiences. Since 2010, Jonathan has served as an advocacy and investigative journalist writing for his blog entitiled "Wait, What?" which has become the most read commentary site in Connecticut. Here are Jonathan's remarks at our New London rally for Dr. Jill Stein that was held on July 21, 2016. A retired preschool teacher and home visitor, Ronna has lived in New London since 1994 and has been active in the community in myriad ways. She served on the New London Board of Education from 2009-11 and is currently a member of the Planning & Zoning Commission. A founding member and current treasurer of the Riverside Park Conservancy, Ronna is committed to preserving open space and making it accessible to all our citizens. She will work to help municipalities fund services and schools reliably and fairly, improve public safety by reforming drug laws to end Prohibition-related violence, bring green jobs to Connecticut, and repair our aging infrastructure while developing alternatives to our automobile-dependent transit system. A longtime member of the SECT Peace & Justice Network, Ronna has also been a producer and host of the New London Green Party's public access TV show "Thinking Green" since 2004. 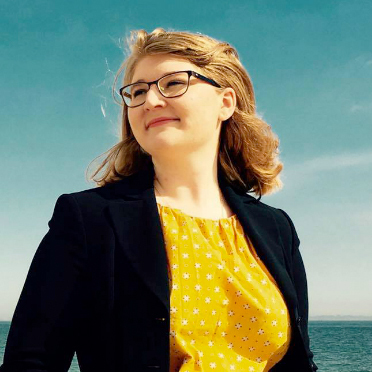 Lauren Shaw grew up in Southeastern Connecticut, graduated from Waterford High School in 2013, and is finishing her degree at the University of Connecticut Avery Point in Maritime Studies, minoring in Political Science and History. Lauren has been volunteering, participating, and coaching with the Special Olympics of Connecticut for over 10 years. Lauren's political involvement began in high school. She joined the Waterford Green Party while in college, and serves as Director of Communications. Lauren believes that Connecticut has all of the essential tools to spur on success, but is hampered by party politics and worn out quick-fixes. "Politics, especially on the state and local levels, should be an open forum between the community and their representatives. If elected, I will strive to maintain a constant dialogue with constituents by actively informing the people of Waterford and Montville about what is happening at the Capitol, and how they can make themselves heard."